Chinese rolling stock manufacturer CRRC announced today that its subsidiary, CRRC Sifang, has won a contract to develop and manufacture 22 trains for Egypt. The climate conditions of the destination country mean that these trains have to be able to withstand both wind and sand. The trains will operate on Egypt’s urban rail network. In total, these 22 trains will consist of 132 cars. The six-car trains will then connect Cairo with its satellite city Al Ashir min Ramadan (’10th of Ramadan’). This route is 68km in length and has 11 stations. The Chinese trains will operate at 120km/h on the line. In addition, CRRC will provide maintenance services for these trains for 12 years. CRRC says the maximum capacity of the trains is 2,222. This is so they can cope with larger passenger flows, something the client requested. Similar light rail trains in China tend to have a maximum capacity of around 1,300. In addition to manufacturing light rail vehicles, CRRC has both designed and built bullet trains, subway trains and trams. 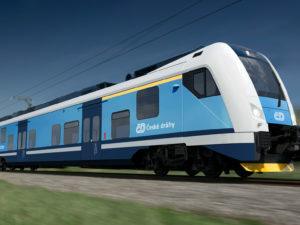 The company says it is experienced in adapting its rolling stock to extreme environments. For example, the special requirements of very cold conditions, or high altitudes.